Bathtime is fun-time for toddlers with this floating vinyl book in the Water Wheels series. 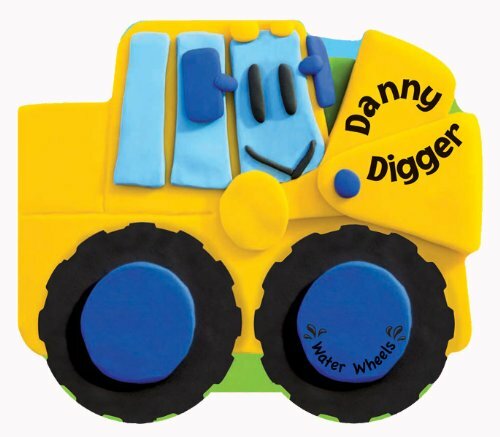 It's shaped like a digger vehicle and cleverly weighted at its bottom so that it actually stands upright on its wheels when placed in the bath water with pages closed. All Water Wheels books have a strap attachment to keep them closed when they're afloat. When kids open the book, they'll find an illustrated little story about a the digger at work.